The president of ZCCA Mr. Dai and Small Business Administration held a press conference to announce that Resorts World Casino will hold a job affair on Nov. 17th. The news was issued on the newspaper on Nov. 16th, causing a huge influence. 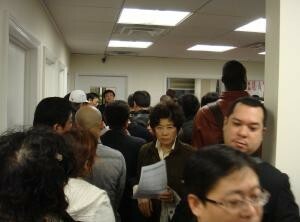 On Oct. 17th, two hundred people came for the interview. 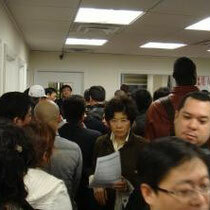 However, due to time reason, only half the people got the interview. Considering the high pressure for employment, ZCCA will make more efforts in creating job opportunities.